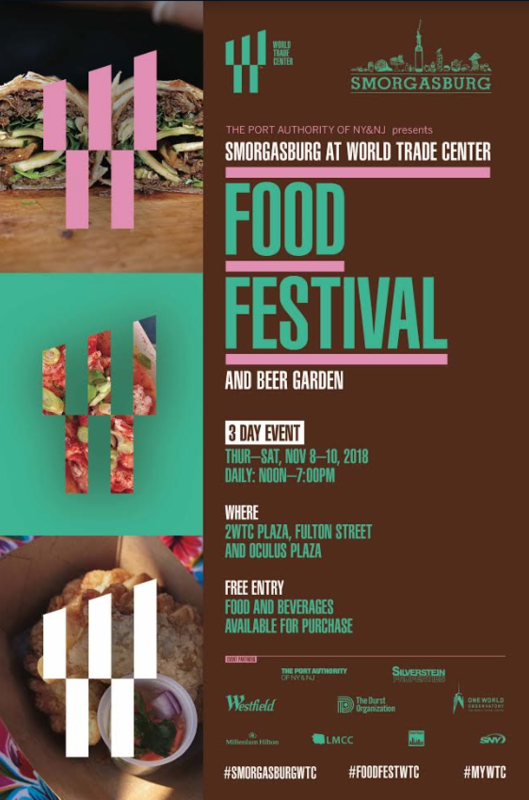 FiDi Families is excited to welcome back Smorgasburg to Lower Manhattan! Did you know that Smorgasburg is billed as the largest outdoor weekly food market in the United States? Food and beverages (including a beer garden) are available for purchase. Music and kids activities will also be offered. The following Smorgasburg vendors have confirmed their participation: Bona Bona Ice Cream; Burger Supreme; Ca’pisci; Chef Katsu; Chickpea & Olive; The Choripan; D’Abruzzo; Dan & John’s Wings; Dough; Home Frite; Jianbing; Mutz; Rai Rai Ken; Ramen Burger; Red Hook Lobster Pound; Ring Ding Bar; Sons of Thunder; Wood Fired Edibles and Yakitori Tatsu. FiDi Families and Project Playdate are launching a family friendly brunch series at the Hideaway Seaport in the historic Seaport. This is a new 2 hour drop off experience for children and a restaurant brunch series for parents. Parents will be able to enjoy brunch with a complimentary mimosa in the main dining room, while children will takeover the upstairs lounge for their own brunch and activities with the team from Project Playdate. Save the date for our kickoff of this series on Sunday, March 12th! FiDi Families Insiders: Kids menu selection at check out (pancakes, grilled cheese or chicken fingers and fruit of the day). Millenium Hilton is offering a special promotion for Lower Manhattan Residents and those who work in Lower Manhattan. They want to offer 25% off a stay from now until Sunday, March 5th. Take advantage of this special deal and enjoy a relaxing stay at the beautiful Millenium Hilton, one of our favorite hotels in Lower Manhattan! FiDi Families Insiders: Use code “SEASON” to get 25% off your stay. Don’t wait to book! The Hideaway in the Seaport is hosting an early Valentines Day Supper Club. Bring your own bottle or two of your favorite wine to share or there are cocktails, beer and wine available for purchase. Kick off the evening with a cocktail hour, in the main lounge, from 6 – 7 pm, followed by dinner at 7:30 pm, which includes complimentary champagne and lite bites. At 8:00 pm guests will find a seat and begin a 4-course meal including dessert by Charlie Pies. While the Supper Club does occur before Valentine’s Day, the evening is open to all, with or without a date. It’s a great opportunity to mingle with your neighbors and new friends. The Peck Slip School PTA has been organizing a Seaport Crawl since 2013, to support the neighborhood that suffered extensive damage, due to Hurricane Sandy. The PTA is continuing its efforts to support the businesses that are loved by many. Check out the amazing Seaport establishments that will be participating. Take this opportunity to mingle with the community and enjoy great drink and food specials too! This year they are doing a 50/50 raffle from 7 – 8p at the Hideaway Restaurant and Bar. Thank you to Jeremy’s Ale House and Mark Joseph Steakhouse for their financial donation to the PTA!